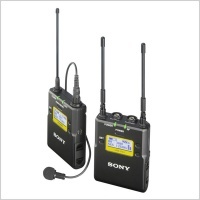 The Sony URX-P03D 2 Channel Portable Wireless Receiver is the world's first dual-channel portable receiver by Sony. It uses digital audio processing for high quality sound. With an external mic input for an additional wired microphone, mix two wireless channels plus a wired mic input on-board the URX-P03D. 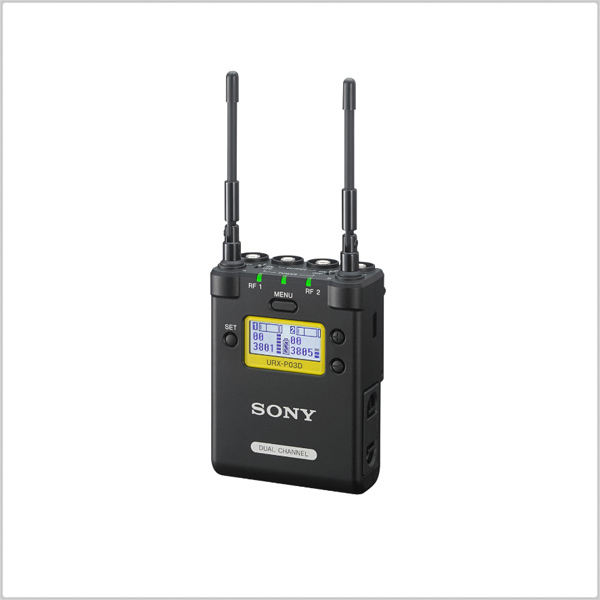 Part of Sony's UWP-D range, this system covers a wideband frequency range with a large choice of wireless channels available. 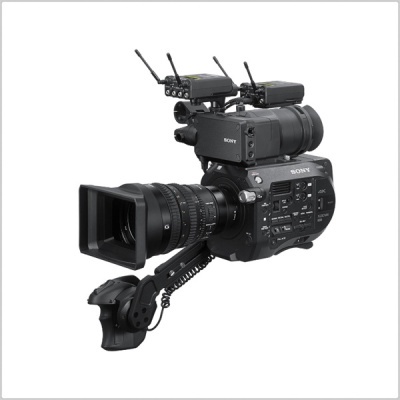 Thanks to its large display and small, lightweight footprint and easy-to-use features the URX-P03 is the ideal partner for camera-or DSLR-mounted sound capture for ENG and Broadcast, and much more. The Sony URX-P03D 2-channel portable receiver forms part of a complete UWP-D audio system offering the sound quality of digital audio processing combined with the reliability of analogue FM modulation. The URX-P03D offers wideband frequency coverage with up to 72 MHz bandwidth (depending on region) across a wide range of channels, with a choice of models to choose from. The URX-P03D fits neatly on any size camcorder or DSLR camera, with easy-to-use features accessible via a large display and small size and weight. This receiver has an automatic channel setting function, headphone output, USB connection for power supply and line input. The URX-P03D receiver also has external mic input for an additional wired microphone and 3 channel mixer function built-in. Use one receiver on your camcorder or DSLR to record two transmitters and a wired mic at the same time. Improves transient response performance between the Sony UWP-D transmitter and receiver, which will provide impressive natural sound quality compared to conventional analogue wireless systems. Automatic channel setting function, headphone output for monitoring, USB connection for power supply and line input availability. 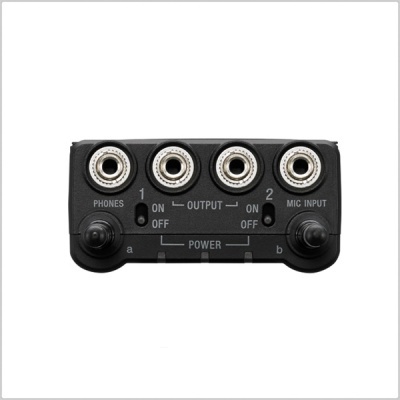 The URX-P03D 2-channel portable receiver has an external mic input connector for additional wired microphones. Sony microphones with BMP plug or plug-in power microphones (stereo/mono) are applicable by menu setting. It also has a 3 channel mixer function for the two wireless microphones and one wired microphone. It can assign output 1 or/and 2 freely. 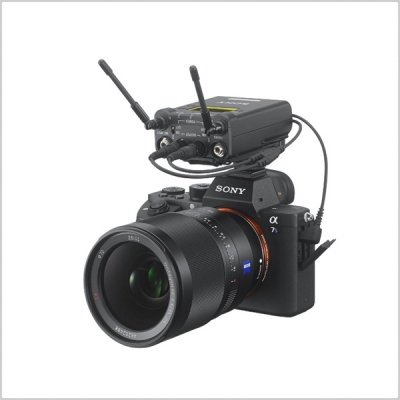 This receiver is designed to fit even small camcorders or DSLR cameras, with dimensions of 63mm x 82mm x 28.4mm (W x H x D) and a weight of approx. 210 g (including batteries). The transmitters and receivers also feature a bright 11.5mm x 27.8mm display, significantly larger than previous UWP models to make them easily readable in all situations. *Applied for 1 channel use. Antenna diversity is applied for 2 channel use.